Watch the Visitors to Your Website! You are here: Home / Traffic / Watch the Visitors to Your Website! A new WordPress Plugin, WPClicks, enables you to watch your website traffic. You can literally see where your visitors go on your site and in what order they visit your web pages. This very clever and useful WordPress Plugin even produces a video so you can visually track what pages your visitors viewed and in what sequence. 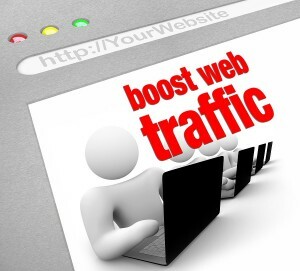 WP Clicks also provides web traffic stats in terms of direct, referred and search traffic. You can see the visitors who came to your site directly (entered your web address in their browser) or were referred from some other site or found your site through a search engine. It identifies referring sites so that you can investigate where your referral traffic is coming from. This intelligence enables you to edit your website to remove blockages, dead-ends and repetition. It also gives you insight into what pages are of interest to visitors, so that you can adapt your pages accordingly. Now small business marketers will be able to track the behaviour of their web traffic, improve their website design and enhance their conversion rates through the new WordPress Plugin, WPClicks.